Jane Louise had the most liked content! My No storms club is purely for frustrations and moaning and whatever pessimism a member may feel. So please say all you want in there about your lack of storms but keep it in reason too. Please keep this thread free of all misery it really is beginning to get depressing. And please again don't start on me after all I am trying to bring the Optimism and trying to keep this thread flowing. It's so exhausting sometimes trying to keep things as they should be!!! Come on storm lovers let's not ruin this thread with pessimism . We should all be excited whether anything happens or no the fun part is not knowing.Just watch the radars storms can travel anywhere even where they have not been forecast. The build up I find is always exciting enough in itself . I'm always the optimist I know but gawd look at the potential out there.In a way I have a little fear of intense storms but there is also an excitement there too. Stay safe everyone because who knows what it may all bring. No pessimistic replies allowed please. 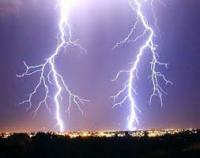 Wow!I had an incredible storm 1am this morning with a brilliant lightning show that lasted an hour and half. The lightning was amazing. Could be worse, could be Saturday! Welcome new members Please pop your locations in your profiles. Thanks and good luck. The cloudscapes here are amazing to portend tonights potential. I have plenty of coffee on hand to stay awake.